Carmel Coaches have quite a nice web site which is nice ands clean and well laid out. Quite professional looking in my opinion. 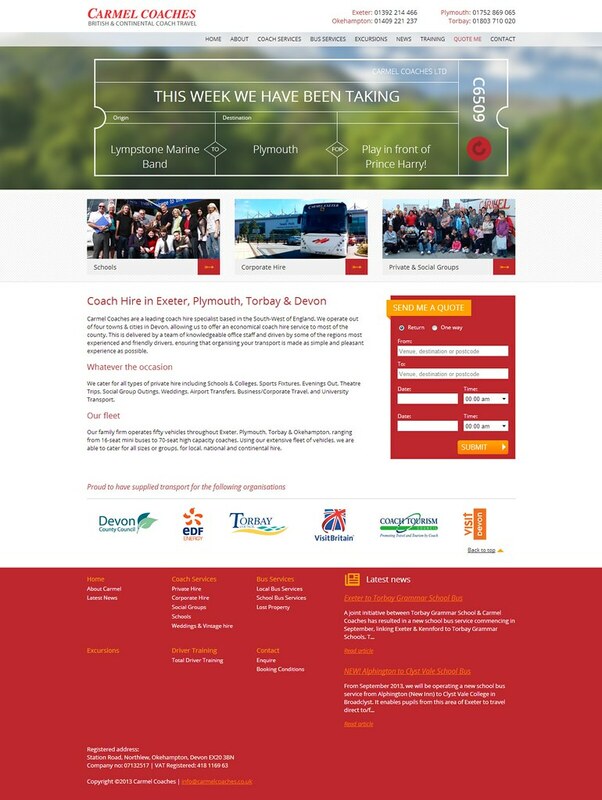 I have been keeping an eye on it to see if and when anything got posted about the Asda and Tesco shopper buses. Then suddenly links to Asda and Tesco timetables appeared. All looks nice and professional and then you see the timetable is dated 18th January 2010! Clearly just used an old timetable display. It wouldn't be so bad but the timetable link that gets you to this timetable states that the T4 operates on Friday – NOT Tuesday as stated on this display! There are some maps which look strangely familiar too but I cant get then to reproduce here. 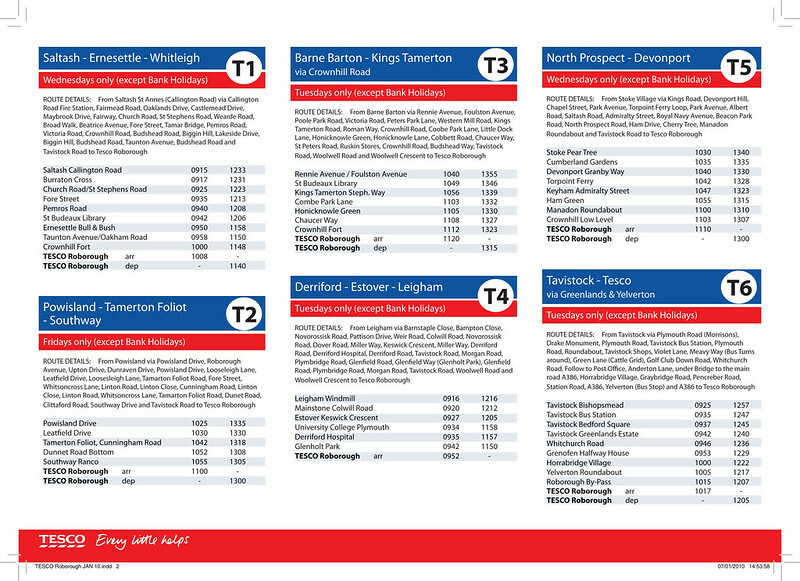 At least the Tesco timetable does not say who operates the service. 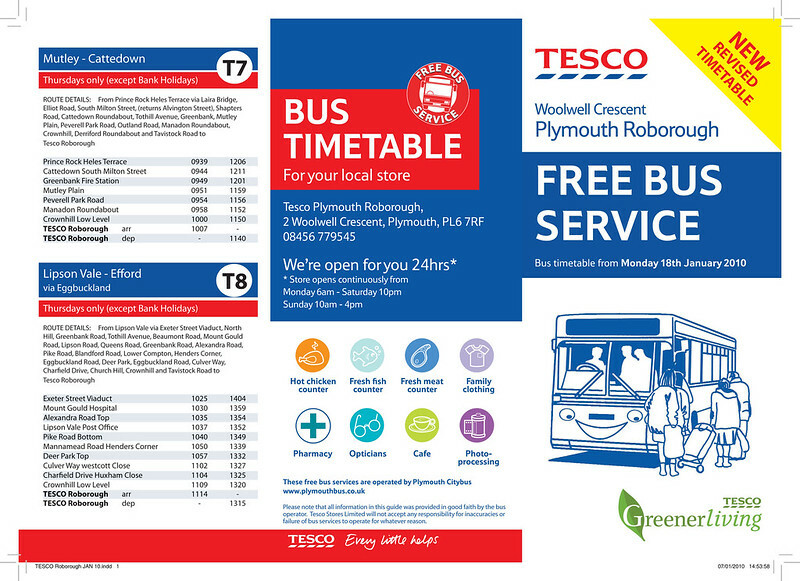 The link for the Asda free bus takes you to a small pdf with a timetable from 16th April 2012 “Your free bus service operated by Plymouth Citybus”! I am sure this is all as a result of the almost indecent haste in which the service was taken from Citybus and passed over to Carmel. I wonder how many passengers have been confused and wonder where their bus has gone? The Carmel web site indicates a professional operation so I have every confidence that decent up to date timetables will be provided soon. Does anyone know what vehicles they are using on these services yet? In the case of asda the timetable will be changed in few weeks so this is just a rough quick job! They will use coach in interim u.til they can source deckers so i bn told. Carmel Vario VX04KTT was at Roborough this afternoon (Tuesday). Tesco Free Bus Card in Window, 001 on blinds. Fairly crowded not much room for bags! I can understand this confusing situation. The Tesco bus service should improve its services.